Iсторико-етнографічний регіон на заході України, який охоплює гірські райони сучасної Львівської та Івано-Франківської областей між верхів’ями річок Сяну і Лімниці та Закарпатської області між річками Уж і Торець, а саме південно-західну частину Рожнятівського, майже весь Долинський район Івано-Франківської області, Сколівський, Турківський, південну частину Стрийського, Дрогобицького, Самбірського, більшу частину Старосамбірського районів Львівської області, північну частину Міжгірського, Великоберезнянського та Воловецького районів Закарпатської області. Сьогодні частина етнографічної Бойківщини входить до складу Польщі, Словаччини. Бойї (бої) (лат. Boii, грец. Βοιοι) — група кельтських племен. До IV ст. до н.е. заселяли територію сучасних Австрії, південної частини Німеччини і Швейцарії. 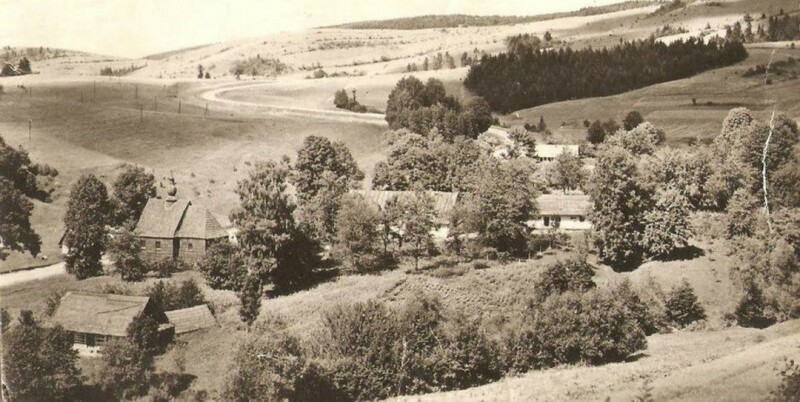 В середині IV ст. до н.е. вони переселились з Галії в долину річки По (Італія), витіснили місцевих етрусків і умбрів та перетворили колишнє етруське місто Фельсіну у своє укріплене місто, під назвою Бононія (нині Болонья). В І ст. до н.е. бойї були частково романізовані; частина бойїв, переселена римлянами на Балканський півострів, була винищена племенами гетів і даків. Однозначного трактування немає. Деякі дослідники виводять від кельтського bhoi — воїн, інші інтерпретують назву від індоєвропейського кореня gʷowjeh³s — володар худоби. This article is about the Celtic tribe. For the fossil genus of amphibian, see Boii (genus). Map showing the approximate location of the Boii in Italy and central Europe. 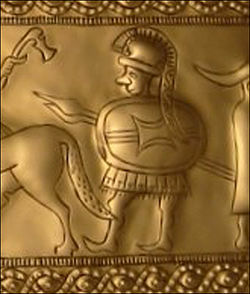 The gold marks the location of the La Tène and Hallstatt cultures, the former of which overlaps on the historical Celts in time. The juxtaposition suggests that the prehistoric Boii lived in this region, which is central Europe. Boii (Latin plural, singular Boius; Greek Βόϊοι) is the Roman name of an Iron age tribe located at the beginning of their history in central Europe, perhaps in or including the regions that still bear their name: Bavaria and Bohemia. The Roman and Greek historians of the late Roman Republic and Roman Empire considered them to be a Gallic or Celtic tribe; that is, a member of a larger ethnic group in Europe termed the Celts or Gauls. Inscriptions from various locations in their range indicate that the latter spoke languages of the Celtic family. The language of the Boii specifically, however, is not known. The tribe has been located at various times by various historians in Transalpine Gaul (southeastern France), Pannonia (today’s Western Hungary), Bohemia, Moravia and western Slovakia. 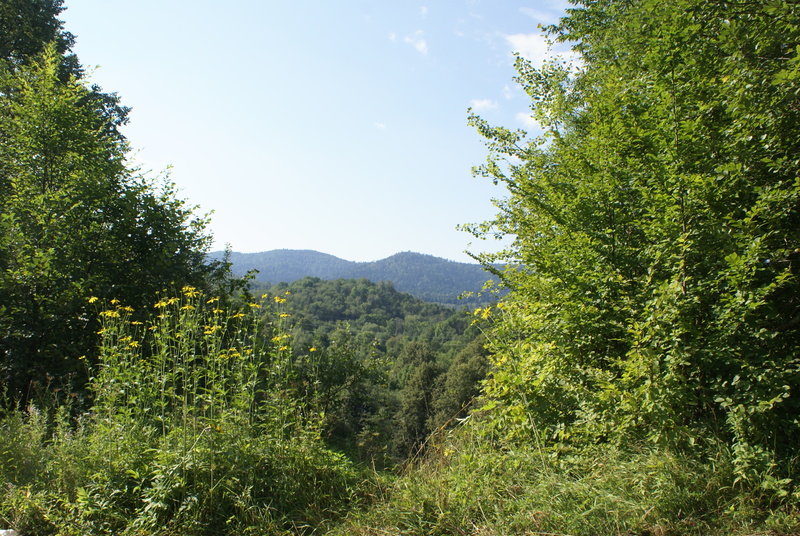 In addition the archaeological evidence indicates that in the 2nd century BC Celts expanded from Bohemia (home of the Boii) through the Kłodzko valley into Silesia, now part of Poland. They first appear in history in connection with the Gallic invasion of north Italy, 390 BC, which displaced some Etruscans in the Po Valley and resulted in the assimilation of the rest. After a series of wars in which they were defeated by the Romans they became part of the province of Cisalpine Gaul (northern Italy). The Boii and other Celts of the Danube region may have been part of the ill-fated Celtic invasion of Greece a century after the invasion of Italy. They were defeated, but not before they had settled central Anatolia, which became known as Galatia. Over two centuries later Julius Caesar recorded the final displacement of the Boii from the Danube region by the Germanic Suebi, the loss of most of their population in battle with the Romans, and the dispersal of the survivors among other tribes. Remnant populations of the Boii under that or other names were now widely spread. By the time of the Roman empire they had assimilated to the dominant cultures in their regions. The tribal structure was replaced by imperial or monarchical types of government and the Boii vanished except for local names or traditions, which persisted for a time. The “warrior” derivation was adopted by the linguist, Julius Pokorny, who presented it as being from Indo-European *bhei(ə)-, *bhī-, “hit;” however, not finding any Celtic names close to it (except for the Boii), he adduces examples somewhat more widely from originals further back in time: phohiio-s-, a Venetic personal name; Boioi, an Illyrian tribe; Boiōtoi, a Greek tribal name (“the Boeotians“) and a few others. Boii would be from the o-grade of *bhei-, which is *bhoi-. Such a connection is possible if the original form of Boii belonged to a tribe of Proto-Indo-European speakers long before the time of the historic Boii. The Celtic tribe of central Europe must in that case be a final daughter population of a linguistically diversifying ancestor tribe. The same wider connections can be hypothesized for the “cow” derivation: the Boeotians have been known for well over a century as a people of kine, which might have been parallel to the meaning of Italy as a “land of calves.” Indo-European reconstructions can be made using *gʷou-, “cow”, as a basis, such as *gʷowjeh³s. Contemporary derived words include Boiorix (“king of the Boii”, one of the chieftains of the Cimbri) and Boiodurum (“gate/fort of the Boii”, modern Passau) in Germany. Their memory also survives in the modern regional names of Bohemia, a mixed-language form from boio- and Proto-Germanic *haimoz, “home”: “home of the Boii,” and ‘Bayern’, Bavaria, which is derived from the Germanic Baiovarii tribe (Germ. *baio-warioz: the first component is most plausibly explained as a Germanic version of Boii; the second part is a common formational morpheme of Germanic tribal names, meaning ‘dwellers’, as in Anglo-Saxon -ware)[note 1]; this combination “Boii-dwellers” may have meant “those who dwell where the Boii formerly dwelt”. Polybius relates that the Celts were close neighbors of the Etruscans and “cast covetous eyes on their beautiful country.” Invading the Po valley with a large army they drove out the Etruscans and resettled it, the Boii taking the right bank in the center of the valley. 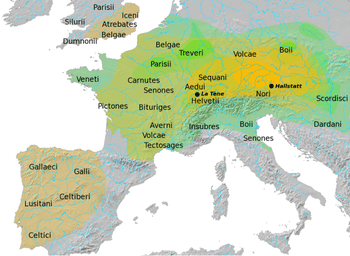 Strabo confirms that the Boii emigrated from their lands across the Alps and were one of the largest tribes of the Celts. Livy adds that the Boii and the Lingones crossed the Poeninus mons, which according to the Roman custom of calling a pass a mons, refers to a pass in the Pennine Alps, most likely Great St Bernard Pass, and found the country between the Alps and the Po river already taken. They crossed the Po on rafts, drove out the Etruscans and Umbrians near the Apennines and settled there. As the Lingones were from the upper Marne and the upper Seine, and the Boii of the first century BC had to cross the Rhine to assist the Helvetii of Switzerland against Caesar, they appear to have been in Alsatia, the region between the upper Rhine and the upper Danube, and down the Danube through Bavaria, Austria, probably as far as Bohemia. The Germanic Suebi, who later held the left bank of the Danube, were as yet in central Germany and posed no threat to the Celts. The archaeological evidence from Bologna and its vicinity contradicts the testimony of Polybius and Livy on some points. They say the Boii expelled the Etruscans and perhaps some were forced to leave. Also, Polybius portrays the Celts in Italy as living in huts in unwalled villages, without furniture, sleeping on beds of leaves. They practiced agriculture and war and had no knowledge of any other art or science. Their wealth was exclusively gold and cattle, which was readily portable. The archaeological evidence indicates that the Boii did not destroy or depopulate Felsinum, but simply moved in and became part of the population by intermarriage. The cemeteries of the period in Bologna contain La Tène weapons and other artifacts, linking the Boii to the La Tène, and also Etruscan artifacts, such as bronze mirrors. At Monte Bibele not far away one grave contained La Tène weapons and a pot with an Etruscan female name scratched on it. The views of the Roman authors concerning the Celtic mode of life are more severe than the remains suggest, for whatever reason (which remains to be elucidated by scholarship). The Boii in fact appropriated Etruscan wealth and women, living at least in part in urban environments developed by the Etruscans, whom they did not drive out, at least not entirely. In the second half of the 3rd century BC, the Boii allied with the other Cisalpine Gauls and the Etruscans against Rome. They also fought alongside Hannibal, killing (in 216 BC) the Roman general L. Postumius Albinus, whose skull was then turned into a sacrificial bowl (Liv. XXIII, 24). A short time before, they were defeated at Telamon in 224 BC and eventually in 193 BC near Mutina (modern Modena). After the loss of their capital, a large portion of the Boii left Italy. The Pannonian Boii are mentioned again in the late 2nd century BC when they repelled the Cimbri and Teutones (Strabo VII, 2, 2). Later on, they attacked the city of Noreia (in modern Austria) shortly before a group of Boii (32,000 according to Julius Caesar – the number is probably an exaggeration) joined the Helvetii in their attempt to settle in western Gaul. After the Helvetian defeat at Bibracte, the influential Aedui tribe allowed the Boii survivors to settle on their territory, where they occupied the oppidum of Gorgobina. Although attacked by Vercingetorix during one phase of the war, they supported him with two thousand troops at the battle of Alesia (Caes. Bell. Gall., VII, 75). 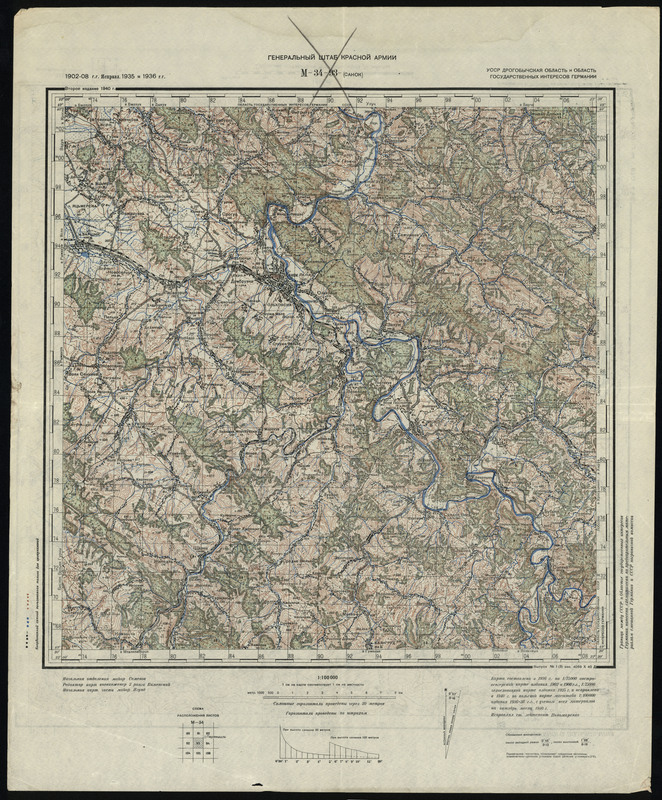 Again, other parts of the Boii had remained closer to their traditional home, and settled in the Hungarian lowlands by the Danube and the Mura, with a centre at Bratislava. Around 40 BC they clashed with the rising power of the Dacians under their king Burebista and were defeated. When the Romans finally conquered Pannonia in 8 AD, the Boii seem not to have opposed them. Their former territory was now called deserta Boiorum (deserta meaning ’empty or sparsely populated lands’). However, the Boii had not been exterminated: There was a civitas Boiorum et Azaliorum (the Azalii being a neighbouring tribe) which was under the jurisdiction of a prefect of the Danube shore (praefectus ripae Danuvii). This civitas, a common Roman administrative term designating both a city and the tribal district around it, was later adjoined to the city of Carnuntum. But now he is not a Sicilian — he is a Boian, he has got a Boian woman. There is a play on words: Boia means “woman of the Boii”, also “convicted criminal’s restraint collar”. In volume 21 of his work Ab Urbe Condita, Livy (59 BC – 17 AD) claims that it was a Boian man that offered to show Hannibal the way across the Alps. When, after the action had thus occurred, his own men returned to each general, Scipio could adopt no fixed plan of proceeding, except that he should form his measures from the plans and undertakings of the enemy: and Hannibal, uncertain whether he should pursue the march he had commenced into Italy, or fight with the Roman army which had first presented itself, the arrival of ambassadors from the Boii, and of a petty prince called Magalus, diverted from an immediate engagement; who, declaring that they would be the guides of his journey and the companions of his dangers, gave it as their opinion, that Italy ought to be attacked with the entire force of the war, his strength having been nowhere previously impaired. In the 1st century BC, the Boii living in an oppidum of Bratislava (Slovakia) minted Biatecs, high-quality coins with inscriptions (probably the names of kings) in Latin letters. This is the only “written source” provided by the Boii themselves. ^ Indoeuropean short o, as in the Celtic Boii, developed to a in Germanic. As far as its formation is concerned, the name seems to be a hybrid between Celtic or Latin and Germanic, as the thematic vowel bai-o– would have to be an a in a Germanic compound (cf. Celtic ambio-rix vs. Germanic þiuda-reiks, “Theoderic”). This, however, should not be used as an argument against the ‘traditional’ etymology, as such forms are quite common (cf. Raetovarii, an Allemanic tribe) and are most likely influenced by the Latin background of the ancient writers. ^ Pellegrini, Giovan Battista (1990) (in Italian). Toponomastica italiana: 10000 nomi di città, paesi, frazioni, regioni, contrade, fiumi, monti spiegati nella loro origine e storia (4 ed.). Milano: Hoepli Editore. p. 110. ISBN 88-203-1835-0, 9788820318352. The etymology of bono- remains undetermined, but there is general recognition that it was used in the same sense as English -town in place names. The names are not confined to Boii lands but are widespread in Gallic territory. Pellegrini gives “foundation, base, town” for a meaning: *Bona-ōn-ia. Vindobona, however, is not “the white town” but “the town of *Vindos”, a Celtic god of some standing among the Boii (“the shining”). ^ Other tribes of whom divisions are attested both in the ‘Celtic homeland’ and at the periphery include the Senones (Umbria and the Marne region), Lingones (Aemilia and the Langres plateau), Cenomani (Venetia and Maine), Tectosages (Galatia and Provence). ^ Falileyev, Alexander, ed (2007). “Boii” (pdf). Dictionary of Continental Celtic Place-Names. Aberystwyth University. http://cadair.aber.ac.uk/dspace/bitstream/2160/282/5/ContCelticPNDictionary.pdf. Retrieved 2 May 2009. ^ Koch, John T. (2006). Celtic culture: a historical encyclopedia (illustrated ed.). Santa Barbara, California: ABC-CLIO. p. 225. ISBN 1-85109-440-7, 9781851094400. ^ a b c Histories, II.17. ^ Pokorny, Julius (1998-2006). “bhei(ə)-, bhī-“ (in German). Indogermanisches Etymologisches Woerterbuch. University of Leiden. pp. 117–118. http://www.indoeuropean.nl/. ^ History of Rome, V.35. ^ Cook, Joel (1904). Switzerland, Picturesque and Descriptive. Philadelphia: International Press, J.C. Winston Co.. p. 29. ^ Williams, J. H. C. (2001). Beyond the Rubicon: Romans and Gauls in Republican Italy (illustrated ed.). Oxford University Press. pp. 201–202. ISBN 0-19-815300-7, 9780198153009. ^ Cunliffe, Barry: “The Ancient Celts”, Penguin Books 1999, pp. 72f. ^ Plautus, Titus Maccius; Nixon, Paul, Translator (2005) . Amphitryo, Asinaria, Aulularia, Bacchides, Captivi. Gutenberg Project. p. 890. EBook No. 16564. http://www.gutenberg.org/etext/16564. Birkhan, Helmut (1999) (in German). Die Kelten. Wien: Verlag der Österreichischen Akademie der Wissenschaften. Caesar, Caius Julius; MacDevitt, W.A., Translator; deQuincey, Thomas, Contributor (2004) . Rhys, Ernest. ed. De Bello Gallico and Other Commentaries. Everyman’s Library (No. 702). Project Gutenberg. EBook #10657. http://www.gutenberg.org/etext/10657. Livius, Titus; Spillan, D, Translator; Edmonds, Cyrus, Translator (2004) . The History of Rome; Books Nine to Twenty-Six. Project Gutenberg. eBook #10907. http://www.gutenberg.org/etext/10907. Ó hÓgáin, Dáithí (2003). The Celts: a history (illustrated ed.). Boydell Press. ISBN 0-85115-923-0, 9780851159232. Plautus, Titus Maccius; Riley, Henry Thomas (Translator) (2005) [?]. The Captiva and the Mostellaria. Project Gutenberg. EBook #7282. http://www.gutenberg.org/etext/7282. Prichard, James Cowles (1841). Researches into the Physical History of Mankind. Volume III: Researches into the Ethnography of Europe (3rd ed.). London: Sherwood, Gilbert and Piper. Rankin, David (1996). Celts and the classical world (2nd ed.). London and New York: Routledge. ISBN 0-415-15090-6, 9780415150903.
ictorieju pro kraj nacshix batkiw. Wi robite weliku cprawu. Budvte czacliwi i tworzix ucpixiw wam. S powagoju Switlana Buchin. Berlin. 19.02.2009 r.
Надзвичайно захоплені Вашою клопіткою працею. Щиро дякуємо Вам за розміщення оголошення про наше Бойківське товариство в Великобританії. Хочемо повідимити Вас про те, що наша культура та традиції продовжують існувати і наша “Бойківська Родина” поступово зростає. На Вашій вебсторінці є багато корисної інформації, яка цікавить наших молодих членів товариства – дякуємо щиро за неї. Уважаемая Нина! Мои родители были депортированы из Лютовисок / Польша / в 1951 году, В книге Наталья Кляшторна описывает о нашей семье. Родителей уже нет. Я бы очень хотела знать по-больше о Бойках, присутствовать на съездах. Пишите мне. Prykro meni po4uty pro tu vazku dolju jaka spitkala Vawyx batjkiv. Доброго дня. Можливо, і мені зможете допомогти. Я шукаю свою рідню по маминій лінії. Моя прабабця Присташ (Романишина по чоловіку) Катерина Степанівна народилася в с.Нижня Тарнава 1913рю, а потім була переселена на Рівненщину. Буду дуже вдячний. Моя бабуся теж Присташ Ольга Теодорiвна, шлюбом Брухаль, вродилась в Сянiчко десь в 1915 року. Выселена з сiмьею у 1949 в Тернопiльську обл., потiм жили у Львовi.